China’s got game. A lot of game. In fact, the Eastern power is rapidly becoming the world’s leader in the online games market. 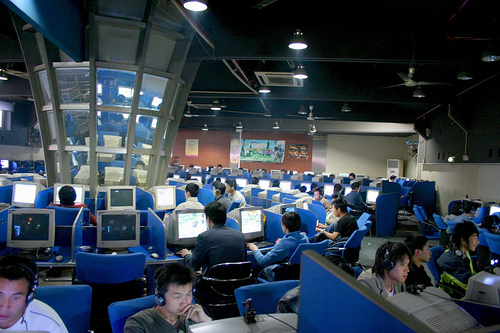 According to a study released by business and consulting firm Pearl Research, the online games market in China will exceed $8 billion by 2014. Though the Chinese gaming market experienced somewhat sluggish growth in the first part of 2010, by year’s end it had rebounded to 25 percent overall growth, reaching $5 billion in sales. Thus, it seems that it is no longer even remotely outlandish to predict that China will make up a quarter of the industry’s total global sales by 2014, with the U.S. falling to 22 percent, as forecasted by The Financial Times, via investment bank Digi-Capital in February. The bright outlook for Chinese gaming is bolstered by the fact that country’s top online game companies experienced another banner year of growth in 2010, led by gaming colossus Tencent, which saw revenue push $1.4 billion. Tencent was followed by Netease at $749 million, Shanda Games at $680 million, Perfect World at $374 million, and Changyou with $327 million. What’s more, in 2010, Shenzhen ZQ Game became the first massively multiplayer online game company to be listed publicly on the Shenzen Stock Exchange — its IPO was for a reported $110 million. Not to mention, Sina Weibo, China’s microblogging platform (in which users can write posts of 140 Chinese characters, a la Twitter), surpassed 100 million users in February 2011, according to Pearl Research. With the surge in online activity, both in online gaming and China’s social web, it should come as no surprise that Pearl Research predicts Asian, specifically Chinese, companies to drive international consolidation of gaming enterprises this year. Flush with cash, Chinese online gaming companies are expected to reach out beyond domestic markets to strike deals with foreign competitors, driving overseas expansion, and a flurry of M&A activity in 2011.